This will be one of the most memorable golf holes at Twin Creeks. From the back tee, a long accurate iron is required to play through a narrow opening amongst the trees, across the creek to the green. 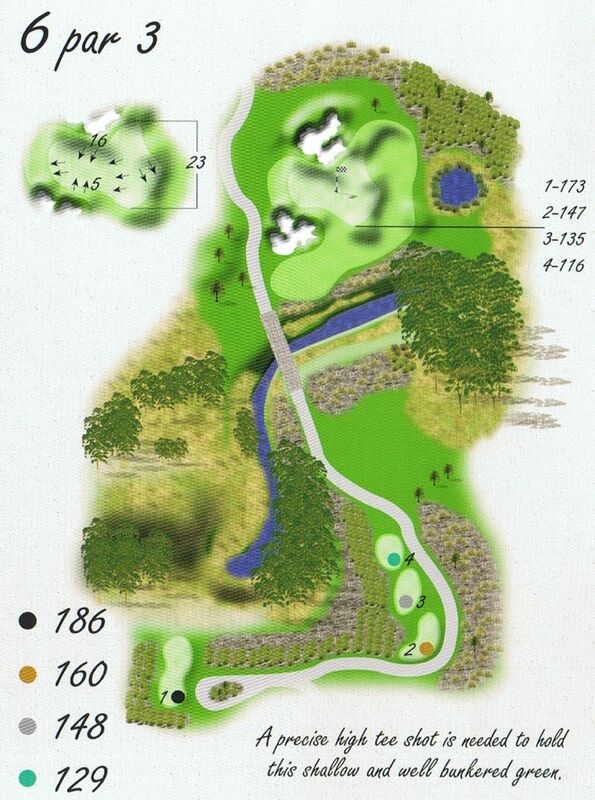 The left side pin placement will be very difficult as it is guarded both front and rear by bunkers. 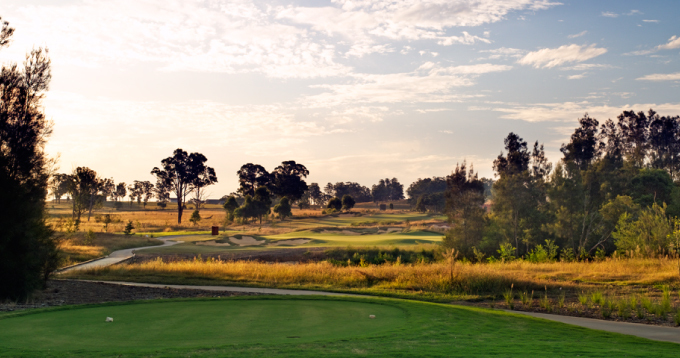 The safe option is to play to the centre of the green.